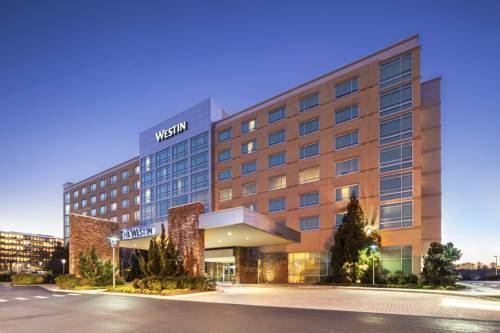 Experience exceptional at The Westin Richmond located near Laurel Park and East Highland Park, close to both Lakeside and West End. Our hotel is convenient to the Virginia Museum of Fine Art, The Crossing Golf Club, Agecroft Hall & Gardens and Maymont Park. Come to our inviting AAA Four Diamond hotel for a wellness-inspired retreat that empowers you to eat, sleep, move, feel, work and play well. Indulge in a spa treatment or relax with a swim in our heated indoor pool. Make time for health and well-being in our WestinWORKOUT Fitness Studio. Crossings Restaurant, Bar & Lounge offers an exceptional setting for enjoying a meal out before resting and rejuvenating in our recently renovated rooms and suites. Our signature Westin Heavenly Bath soothes you before retiring to enjoy the plush comfort of your Westin Heavenly Bed . Whether you are in town for business or pleasure, you'll appreciate all that our welcoming hotel in Richmond, Virginia offers. Crossings Restaurant: Crossings Restaurant offers guests an upscale, art deco setting showcasing local, seasonal dishes. The inviting hotel restaurant at The Westin Richmond is the perfect place for power breakfasts, business lunches and celebratory dinners. Crossings Bar & Lounge: Crossings Bar & Lounge features a full selection of cocktails, wines and beers to enjoy on your own or with friends. Stop by to unwind after a busy day in West Richmond or enjoy pre- or post-dinner drinks.